Dr. Ian McTaggart-Cowan joined the faculty of the University of British Columbia in 1940. He had an impressive academic background that included a Ph.D. from the University of California, Doctor of Science degrees from the universities of British Columbia and Victoria, Doctor of Laws degrees from the University of Alberta and Simon Fraser University and a Doctor of Environmental Studies from Waterloo. During his 35 years at UBC, he established an enviable reputation, travelling widely in his studies and publishing an impressive body of work. He was also involved in the production of 110 television documentaries and 12 teaching films. Dr. McTaggart-Cowan has devoted a lifetime to studying, teaching and conserving the natural resources of British Columbia. His involvement extended far beyond the UBC campus, right around the world. Naturalist ground around British Columbia frequently called upon his knowledge and enthusiasm to inspire members; many of those who listened would pursue careers in biology and involve themselves in environmental conservation. Dr. McTaggart-Cowan was himself heavily involved, as chairman or member of many of the lead organizations concerned with the environment, such as the National Research Council’s Advisory Committee on Wildlife Research and the Environmental Council of Canada, to name only two in a long list. He has been a world-wide environmental emissary for British Columbia and Canada. 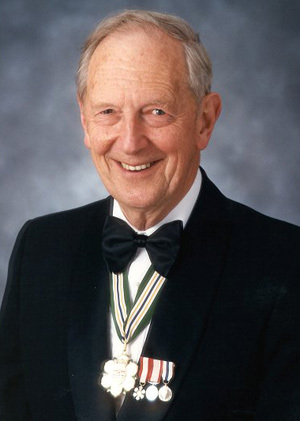 Although now retired, he continues to serve on many committees, boards and organizations dedicated to ensuring the environmental integrity of British Columbia’s natural resources. An internationally recognized conservationist, Dr. McTaggart-Cowan has given distinguished service to the people of British Columbia and their natural resources.